Free Shipping Included! DLP Tactical Low Profile 3-Hole Hybrid NVG Mount Shroud for ACH / MICH / OPS-Core FAST / Crye AirFrame Helmet (Black) by DLP Tactical at EISF. MPN: LYSB01GNXXQX0-ELECTRNCS. Hurry! Limited time offer. Offer valid only while supplies last. Low profile 3-hole pattern helmet mount for your night vision goggles. Attaches to any helmet with a 3-hole mount pattern. 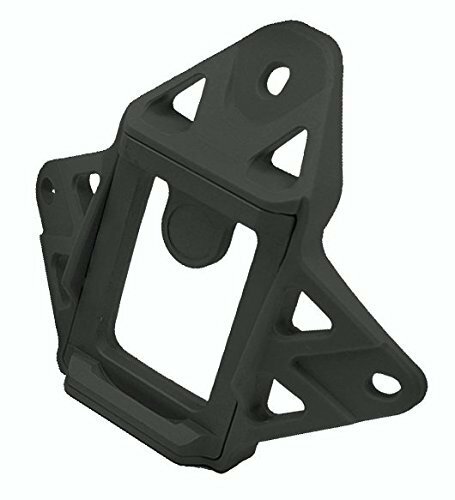 Hybrid design, CNC machined aluminum alloy mount bracket in a fiber reinforced polymer frame for the perfect balance of strength and weight savings. If you have any questions about this product by DLP Tactical, contact us by completing and submitting the form below. If you are looking for a specif part number, please include it with your message.